When your company uses a lot of cardboard packaging, it is inevitable that you will need to break down and recycle boxes. In order to make the most of these materials, lessen the waste, and provide a more environmentally friendly solution to these kinds of packaging problems, at The Protective Packaging Company, we take old boxes and help you reuse them. We reuse these old materials for the purpose of void filling, which is an essential part of shipping items from your warehouse to your customers, preventing items from any possible damage that may occur when being transported from one destination to another. By using a cardboard convertor, it eases the task of void filling. At The Protective Packaging Company, we stock the Kartopac Machine and the Pacmate. 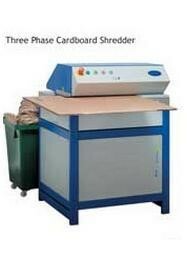 Both these machines act as a cardboard shredder to enable you to transform old cardboard boxes into packaging materials. Instead of wasting boxes that can no longer be used in their original form, you can operate a 100% recyclable packaging and shipping service. This can be a great selling point for your customers, being a sustainable method that lessens environmental impact. Additionally, the Kartopac and Pacmate are the more affordable option in comparison to buying packing materials separately. 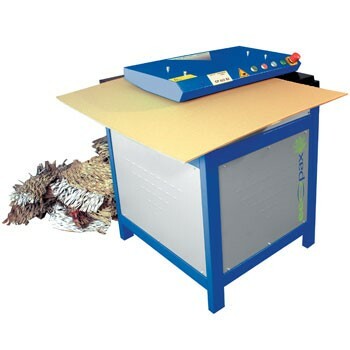 By investing in one of these machines, you can simply convert your waste into materials you can use for your shipments. 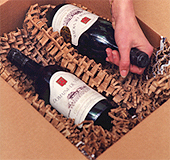 Whether you’re packing large items like furniture, or smaller products such as wine bottles, this method will help you keep items secure whether for commercial, residential or industrial applications. Both of these brands are a type of packaging box convertor, so they are able to take the original shape of the cardboard box and break it down into durable packing materials that are simple to use. It’s possible to specify details such as the thickness of the packing material in order to guarantee that the most delicate of items will be fully protected. Converts all your cardboard waste into loose and voidfill. The fill and wrapping material produced by the Kartopack machine is ideal for packing. Knives in the machine cut a regular pattern of slits in the cardboard, it becomes loose-fill material.